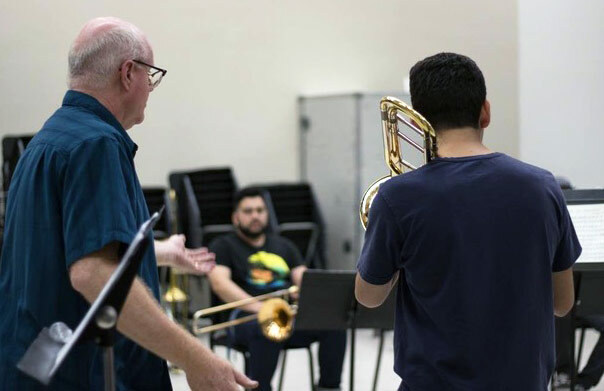 My goal as a teacher is to help my students develop their musical skills and find their path to becoming more communicative, technically competent and authentic performers and teachers. My own experiences as a professional player and a teacher allow me to share a wide range of perspectives with any player I work with. I don’t believe a “cookie cutter” approach is effective when teaching music. I strive to address each player as an individual on his/her own unique journey. 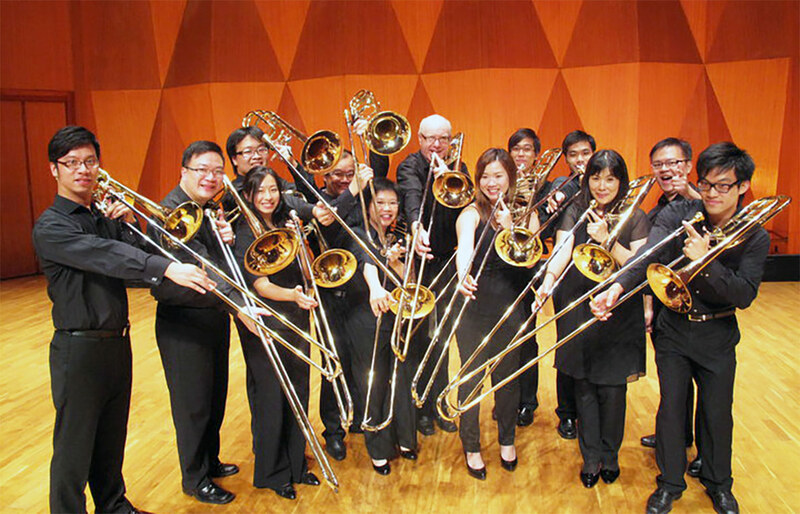 I emphasize playing fundamentals (mouthpiece buzzing, tone production, finger technique, scales, flexibility, breathing and general musicality and musicianship) as the primary components of developing as a brass musician, but also I believe it is my responsibility to address and expose students to a wide range of variables they will encounter in any and all forms of music. I believe a great musician is made up of many attributes. “Talent” is important, but not the only component of becoming a great musician. Commitment, desire, a strong work ethic, the ability to listen, a forward thinking and open-minded perspective, and being able to work as a “team player” are all equal or even exceed the importance of “natural talent.” With guidance and experience, these qualities can be cultivated over time. 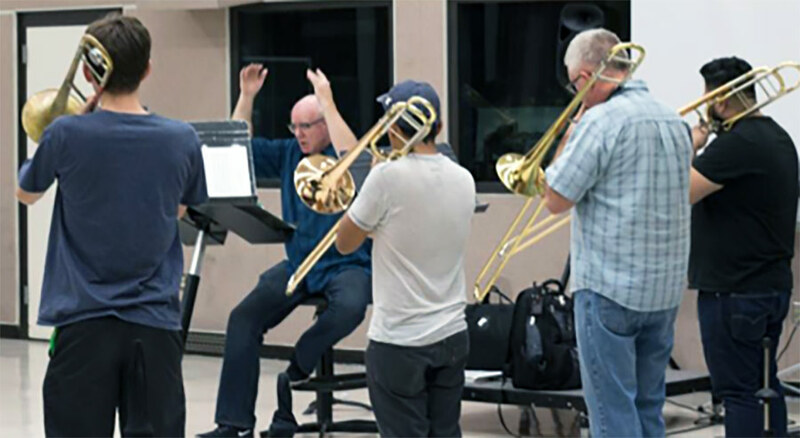 Understanding the importance of commitment to Music in general, rather than just the shiny piece of metal they place on their lips, is critical to becoming a better brass musician. Yes, playing the instrument with regularity and consistency leads to improvement, but students will find inspiration by listening to relevant recordings, going to live concerts of all styles and genres, and reading books and stories related to musicians and their journeys. A very wise anonymous writer once said, “Play the music, not the instrument.” That is the perspective and goal I wish to share with every one of my students. • Please send Alex a message HERE to inquire about private lessons. Please send Alex a note via the CONTACT page about scheduling a Masterclass or Seminar for your school.